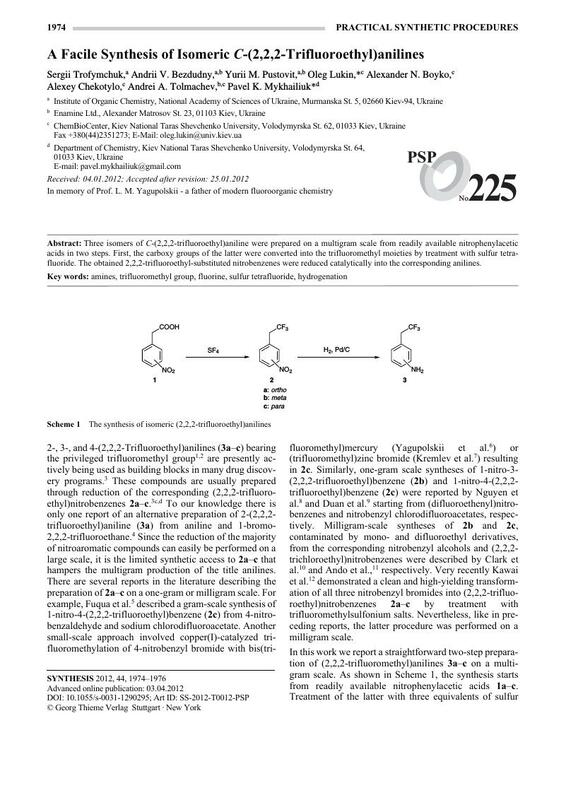 Three isomers of C-(2,2,2-trifluoroethyl)aniline were prepared on a multigram scale from readily available nitrophenylacetic acids­ in two steps. First, the carboxy groups of the latter were converted into the trifluoromethyl moieties by treatment with sulfur tetra­fluoride. The obtained 2,2,2-trifluoroethyl-substituted nitrobenzenes were reduced catalytically into the corresponding anilines.